Huawei P8 Lite 2017 review: still a good vintage? Huawei launched the P8 Lite in 2015, then the P9 Lite in 2016. And at CES this year, the Chinese company recycled an old name for a new phone with the launch of the P8 Lite 2017. Huawei, known for its confusing naming schemes, has also opted to call this smartphone the P9 Lite 2017 or Nova Lite in some markets. Regardless of the name, this mid-range smartphone's very reasonable $250 price tag should appeal to many users. Check out our full review. While the Huawei P8 Lite is already available in some markets, the device hasn't been released in the US. It is available now in the UK for £185 and in the EU for €239, which would be equivalent to about $250. The device comes with 3 GB of RAM and 16 GB of internal storage. The available colors are black, white and gold. For a similar price, the Honor 6X is bigger, and its software is more powerful. The Huawei P8 Lite 2017 is a nice smartphone. For this price range, the device is simply remarkable, in terms of both aesthetics and build quality. However, it is necessary to make some compromises. So it has a plastic frame rather than a metal one. The combination of plastic and glass, however, is very successfully executed. It doesn't feel "cheap" on the black device we reviewed. Our only complaint is that the smartphone is a fingerprint magnet. Of course, it is impossible not to notice the similarities with the Honor 8, the flagship of Huawei's subsidiary, Honor. This resemblance makes it more and more difficult for users to distinguish between the two brands. Adding to the confusion, in some countries, this smartphone is called Honor 8 Lite. There is no way for users to keep up with these nonsense naming schemes. Compared to Honor 8, the device is slightly larger, but also lighter by a few grams. The screen of the Huawei P8 Lite 2017 is also not as bezel-less as that of Honor 8. Of course, thanks to the curved edges, the smartphone is ergonomic and easy to handle. On the back, unlike dual camera of the Honor 8, there is only one camera lens. For the rest, it's all standard fair: it's got an LED flash, a circular fingerprint reader (which proves to be ultra-fast once again) and the logo of the brand. As you can see in the following pictures, the volume and power buttons are on the right side, with the SIM card slot opposite. As with the P9 Lite, it is possible to expand the storage up to 128 GB, or the slot can be used for a second SIM card. You read that right. You can either expand the storage or insert a second sim card. On the bottom edge of the device, we find two speaker grilles. Don't be fooled though, as only one of the two works and the other is for purely aesthetic reasons. Between the two grilles, you will find the usual MicroUSB charging port, not Type-C. This is nothing shocking for a mid-range, but in the year 2017, it's maybe a little disappointing. On the top, you'll find a microphone and a standard 3.5 mm headphone jack. Overall, the design and build quality of the P8 Lite 2017 is one of its best assets. The similarities with the Honor 8 are a bit too pronounced, though. For the display, Huawei has reused a recipe that works. The P8 Lite 2017 has a 5.2-inch IPS screen with a Full-HD resolution and a pixel density of 424 ppi. If you are not a fan of virtual reality, the Full HD definition is more than sufficient on a daily basis. In any case, a higher definition would have been surprising given that the flagship of the same brand has the same definition. Of course, an IPS LCD screen doesn't compare with the vibrancy or depth of an AMOLED screen. But, the colors remain warm and natural. The display doesn't tend toward blue shades. In any case, it is possible to change the color temperature according to your own tastes. And finally, I had no complaints about visibility or viewing angles. Even outdoors, it is very easy to read text on the screen. For a smartphone at about $250, the display of the Huawei P8 Lite 2017 is very good and not likely to be subject to criticism. The software is certainly the biggest problem with the Huawei P8 Lite 2017. The Chinese manufacturer may have had good intentions initially, but in practice, it is rather disappointing and sometimes ruins the overall user experience of smartphone. On the whole, this disappointed me. The Huawei P8 Lite runs Android 7.0 Nougat, with the latest version Huawei's interface, EMUI 5.0. On paper, compared to the Honor 6X, it has a distinct advantage since the smartphone offers all the many novelties of EMUI 5.0. There are new features from Android Nougat (multi-window mode, new notifications, etc.) but also the default presence of an application drawer, new multitasking and an overall appearance closer to stock Android than iOS. When it comes to daily use, it seems that Huawei has really neglected software optimization. The result: slow downs, some bugs and a lack of fluidity if you overload the memory, which happens quickly with just 3 GB of RAM and 16 GB of internal storage. In my opinion, the Chinese manufacturer didn't want to make the same mistake it made with the Honor 6X by offering the old version of Android (Marshmallow) rather than Nougat. The engineers responsible for the development of the P8 Lite 2017 probably ran out of time to optimize the software with the hardware. This is made all the more unfortunate since the system occupies 6.55 GB of the 16 GB available. If you add some apps (the Huawei P8 Lite 2017 already has a lot of bloatware that can't be removed), the memory gets used up quickly which slows the software interface down even more. Fortunately, one of the methods I have found to get a little more breathing room and fluidity is to use a MicroSD card for installing applications and keeping the internal memory only for the system. Under the hood, the Huawei P8 Lite 2017 has similar specs to the Honor 6X. So, there's an octacore HiSilicon Kirin 655 16nm processor, with 4 cores operating at 2.1 GHz and four others at 1.7 GHz, along with a Mali-T83 graphics chip and 3 GB of RAM. The smartphone also has 16 GB of internal storage, expandable by MicroSD card. As I said before, I find it unfortunate that Huawei has not made the effort to add more internal memory. Certainly, at about $250, we must make some compromises, but if it is to the detriment of user experience in the end, it is a bit of a shame. Even though I saw slowdowns on a daily basis, I was paradoxically pleasantly surprised by its scores on the various benchmark tests. Graphics performance is also up to par, and the Huawei P8 Lite 2017 is not weak. Games run with minimum detail and no lag. The mono speaker is one of the curiosities of the Huawei P8 Lite 2017. Despite the presence of two grilles, only one loudspeaker is present (on the right). Unlike the Galaxy A3 (2017), this one is located on the lower part of the smartphone. The risk of covering it when you hold your smartphone in both portrait and landscape mode is quite high. The sound quality is adequate for watching media content. The small speaker of the Huawei P8 Lite 2017 is very capable. It is louder than that of the Honor 8 and P9 Lite. The sound becomes distorted and metallic at high volume, but in noisy environments, it makes itself heard. Headphones also come in the box. They are pretty basic and of fairly average quality. Finally, regarding the call quality, I did not encounter any problems with the P8 Lite 2017. The person I called could hear me without issue, and vice versa. As explained earlier, the Huawei P8 Lite 2017 offers a single 12 MP camera with an f / 2.0 aperture. An LED flash and a phase detection auto focus are also part of the deal. Note that you can use the volume buttons to take snapshots. Although it may be useful for some people, I have occasionally taken photos unintentionally. There are many modes: Pro photo mode, HDR mode, panorama, slow motion, time lapse and more. The pictures are taken very quickly, and the focus is fast. It's a bit better than the P9 Lite, for example. Those who have already used a Huawei or Honor smartphone will be in familiar terrain, since the camera application is indeed the same. In terms of quality, when the lighting conditions are decent, the camera of the P8 Lite 2017 proves rather good. Details are present and noise is quite low. In low light conditions, it is less obvious but Huawei has made efforts, as its sensor is able to capture more light than before. Either way, you can always adjust the aperture or exposure with the smartphone's Pro (manual) mode. The 8 MP front camera (f / 2.0) also gives satisfactory results, at least for taking selfies. On the video side, it is possible to shoot in Full HD. Be advised, though, that the default resolution is set to 720p. Overall, the device is more talented than most of its competitors, with the exception of the Moto G4 Plus. In my comparative tests, the P9 Lite is better than the P8 Lite 2017 for some details but the difference is quite difficult to distinguish. The Huawei P8 Lite 2017 has a non-removable 3,000 mAh battery. This is average for 5.2-inch smartphones, especially taking the Full HD IPS screen into account. Since the smartphone runs Nougat, it theoretically benefits from the power management features of the latest Android update. In terms of battery life, Huawei does not disappoint us with this smartphone. You get a good day of battery life with normal use, that is to say: a few calls, some videos, surfing and messaging. With less frequent use, you can even reach a day and a half. It is even possible to activate the battery saver mode in the settings to extend the life of your smartphone. It is always good to use this feature when you know that your smartphone doesn't charge quickly. It takes more than two hours to get a total charge. On the benchmarks, it achieved a score of 6:45 while connected to Wi-Fi, with a single SIM and brightness set to 75 percent. For a device of this range, this is an average score. 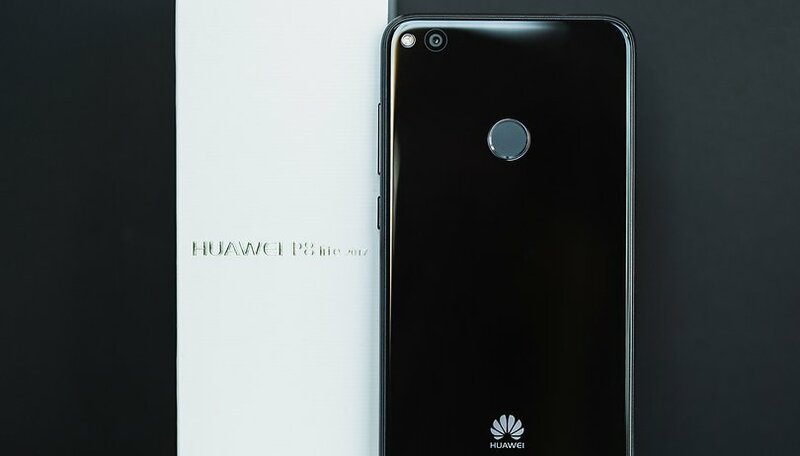 The Huawei P8 Lite 2017, which was the big surprise from the Chinese manufacturer at CES 2017, is finally a classic. My biggest complaint is that the software lacks optimization, so it spoils the user experience in the end. However, the smartphone certainly doesn't lack positive qualities, starting with a seductive design that will appeal to users. Its battery life and sound quality are also great. Even though you can't get a carrier subsidy for this phone in the US, $250 is still a very accessible price point. Compared to the original P8 Lite, it is a clear improvement. However, I have a little difficulty understanding the Chinese manufacturer's desire to ride the success of the P8 Lite by releasing this smartphone with its name. My two cents is that even if the smartphone isn't bad and will suit most users, I can only advise people looking for a mid-range smartphone to turn to its competitors, like the Honor 6X, the P9 Lite or even wait for future smartphones from Huawei instead. What do you think of the Huawei P8 Lite 2017? Do you think this phone is worth the price? Why phone manufacturers always name their new phone with "old phone name + year"? Really confused me. Just a brilliant comment Rothman. This particular naming habit is irritating and confusing. I agree, it's really confusing for users.